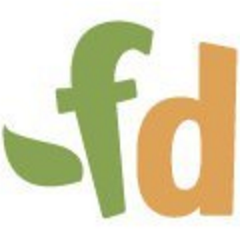 FreshDirect is leading online fresh food grocer delivering farm-fresh foods & brand-name groceries. FreshDirect is a food tech company and the Northeast's leading online fresh food grocer, delivering directly to customers throughout seven states, including the New York City and Philadelphia metropolitan areas, & the District of Columbia. FreshDirect is committed to sourcing the freshest & best-tasting meat, fish, produce, & specialty items through direct relationships with suppliers, growers, & farmers. In 2016, FreshDirect expanded its portfolio with the launch of FoodKick, an on-demand business that caters to the needs of urban dwellers with a curated selection of food, alcohol, and essentials—all delivered in as little as an hour. Launched in 2002, FreshDirect is a privately held company headquartered in Bronx, NY. For more information, visit www.freshdirect.com or www.foodkick.com. Our company aspires to be a valued corporate partner in all communities in which it serves, & works extensively with dozens of charitable & community partners. We are an innovative Food Technology company offering an environment where you can grow a career & feed your future & have fun while doing it! Great people deserve great benefits & we go above & beyond! Working here is pretty much as cool as you’d imagine - lots of food, lots of energy, & a whole lot of happy hours. Disclaimer: The above statements are intended to describe the general nature & level of work being performed by the Team member(s) assigned to this position. They are not intended to be an exhaustive list of all responsibilities, duties, & skills required of individuals in this position. Position Descriptions may be subject to change as the needs of the organization change.